From the brand new brewery Foamers’ Folly Brewing in PItt Meadows comes their “Bandit Brown Ale”. The beer pours a deep brown colour with a tan head. The aroma consists of roasty malts, nutty, caramel and a semi sweet finish. The flavour is of lots of roasty malts, nuts, caramel, some toffee maybe, sweetness and a little earth in the finish. The alcohol content comes in at 5% with an IBU of 23. Not every beer is the most exciting beer you have ever had and they don’t need to be. This one does a great job of being very drinkable and would be good any day. 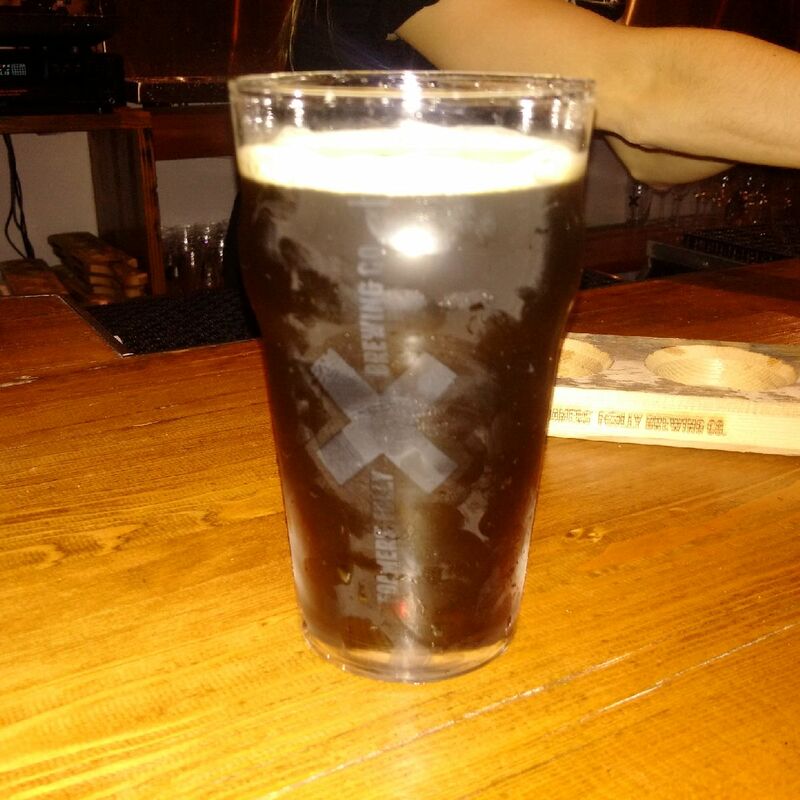 This entry was posted in Brown Ale and tagged bandit brown ale, bc, brown ale, canada, caramel, craft beer, earth, earthy, Foamers Folly Brewing, fraser valley, nut, nuts, nutty, pitt meadows, roasted malt, roasted malts, roasty, sweet, sweetness, toffee.